Don't tell a team with no postseason experience that the NIT is a disappointment. Five Tiger seniors took the floor for the opening tip Tuesday night at FedExForum having never appeared in a game beyond a conference tournament. 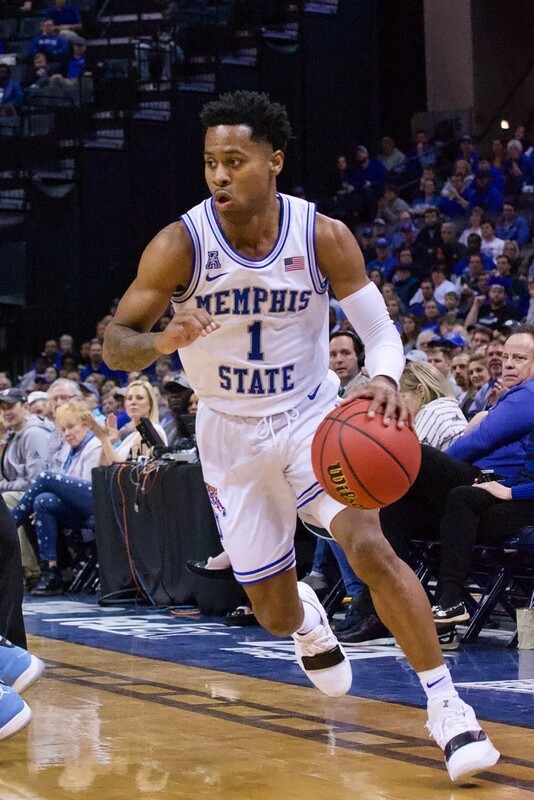 In hosting the first NIT game at FedExForum since 2010, the Tigers ended a four-year playoff drought, extended the transcendent career of senior Jeremiah Martin, and allowed first-year coach Penny Hardaway to continue the dialogue of competing for a championship. "I'm a little upset that I couldn't get the seniors to the NCAA tournament," said Hardaway after the game. "But the NIT is a blessing, so they can extend their careers. They're still going to be on TV. The season's still going. I'm excited to be here right now, instead of being home." "I'm blessed for the opportunity to keep playing with my brothers," added Martin. "Just trying to get a championship back to Memphis." In scoring a game-high 21 points, Martin became the 10th Tiger to score 1,600 for his career and he's now 12 points shy of becoming only the fifth Memphis player to score 700 points in a single season. Senior forward Kyvon Davenport added 16 points to match freshman Tyler Harris's total for the contest. Memphis improves to 22-13 for the season and will face Creighton (19-14) in the second round ("sweet 16") of the NIT. "It was almost like [the crowd] was expecting us to win, because we've been winning at home so much," noted Hardaway. "They were appreciating the players — the seniors — in case this was our last game at home." Announced attendance was 8,138, just more than half the team's average (15,516) for 17 regular-season games. Counting games in the American Athletic Conference tournament and Thursday night's win, Memphis is 18-3 at home this season. The Tigers fell behind early (8-6), but enjoyed an 18-2 run keyed by three Harris three-pointers to take the lead for good. The Toreros responded with an 18-5 run of their own to close the margin to a single point (29-28), but they never regained the lead. A 10-2 Memphis spurt early in the second half essentially put the game out of reach (47-32) for the visitors from the West Coast Conference. San Diego's top scorer, Isaiah Pineiro, was held to eight points (four for 15 from the field) and the Toreros committed 22 turnovers. "It's great when Tyler comes in hot, and takes pressure off [Martin and Davenport]," said Hardaway. "We need those guys to play well. They're our three weapons." "If it's my last game [at FedExForum], I'm gonna be happy," said Martin, "because we got a win. If Houston had been our last game, how would we feel? But we came back and got a win, so I feel great."